Peaches & Petals: February 2015, March Spoiler & 50% Off Coupon Code! 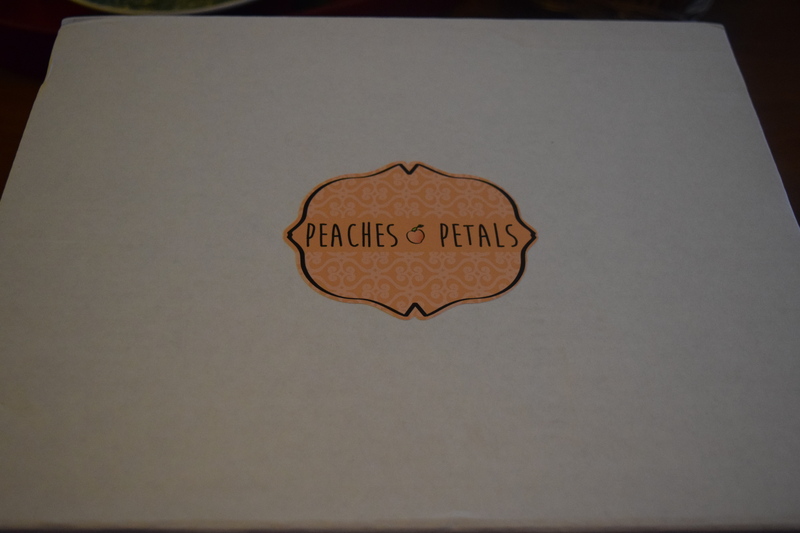 Today I’ve got another fun lifestyle box from Peaches & Petals. They kindly sent me their February box to review along with a great coupon code. If you’re a first time subscriber, you can use the code PEACHTHERAPY for 50% off your first month’s box, when you purchase a monthly subscription. (Gift subscriptions are excluded.). For Februrary the theme falls in with Valentine’s day with a “how sweet it is”. 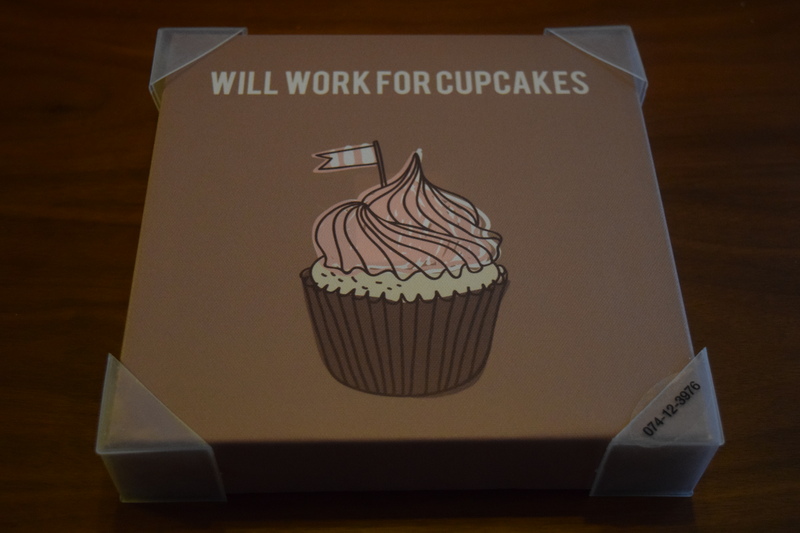 We start with our large, lovely, logoed box. Description: “Show a little love to your favorite furniture piece with this darling decorative pillow cover! Has a linen feel and look to it complete with a hidden zipper so you can wash it too! We’re in love! This item was the spoiler from last month and I actually love the design and color. It’s got a “love” theme but not too overly sweet. The only reason this is a “like” instead of a “hit” is because the print on the pillow has some weird spots where it looks like the ink ran or is blotchy. I can’t tell if it’s a purposeful part of the design or an accident. If it’s the former I wish it ran through it more consistently throughout the graphic. In any case, the colors match perfectly with my décor and I’ll most likely be using this in my bedroom. Swapping out covers on your throw pillows is a great, low cost way to decorate for the seasons, so I think including this was a great idea. 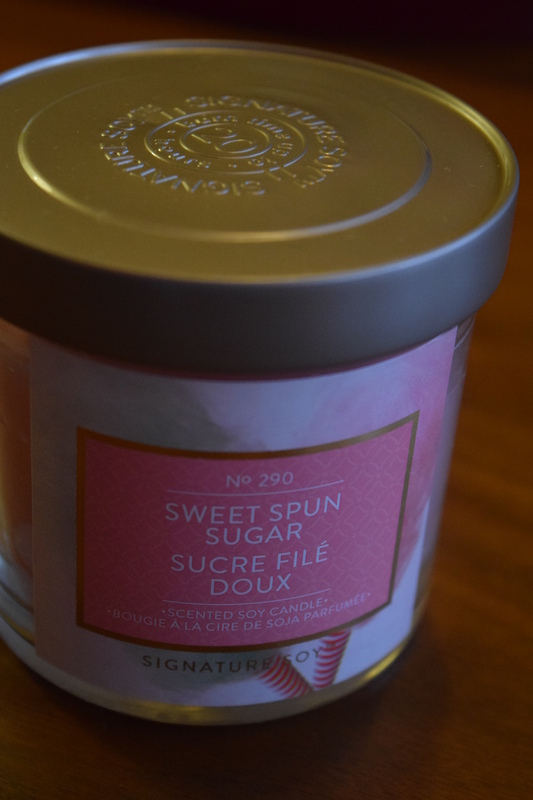 As the name implies the scent of this candle is quite sweet, but it’s not overbearing and doesn’t give me a headache like so many other fragrances. Soy candles are great and this one is a nice size. 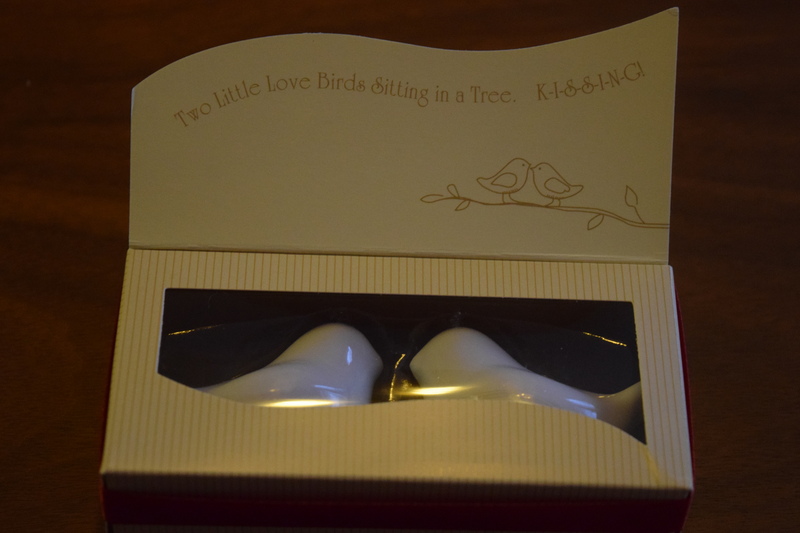 These are quite small and in google searching it looks me like they are really designed to be wedding favors. Now I’ve seen tiny salt and pepper shaker like these in bulk sets so that at holiday meals you can put them at each place setting, or have them in different spots on long tables, but one set of itty bitty salt and pepper shakers just isn’t practical. I do love the idea of having a love themed serving/home item, but I think there were much better choices. Included with this was coupon code for 25% off at the Slightly Melted Etsy shop, use code sweetpeaches25 for 25% off. These smell amazing and I love that we’re getting introduced to a new brand. 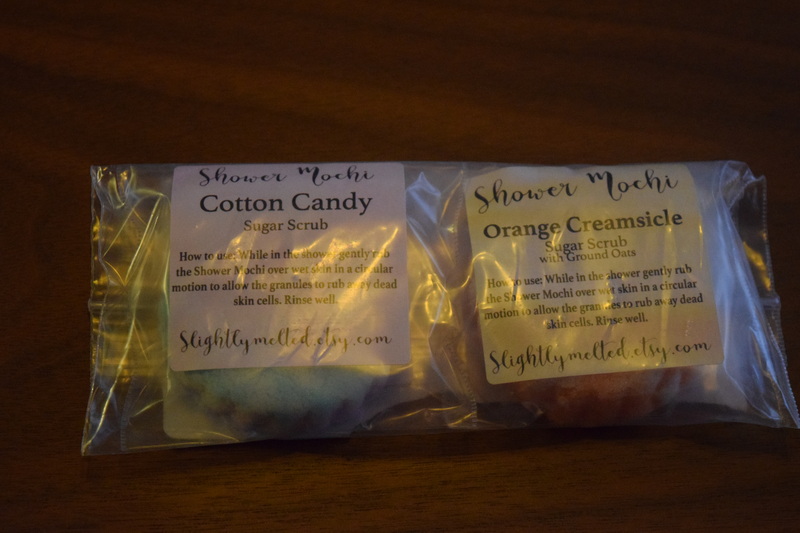 The Slightly Melted shop specializes in luxurious handmade sugar scrubs as well as salt scrubs, bubble bars and body balms and this is hands down my favorite item in the box. How did they know Samoas are my favorite Girl Scout cookie? 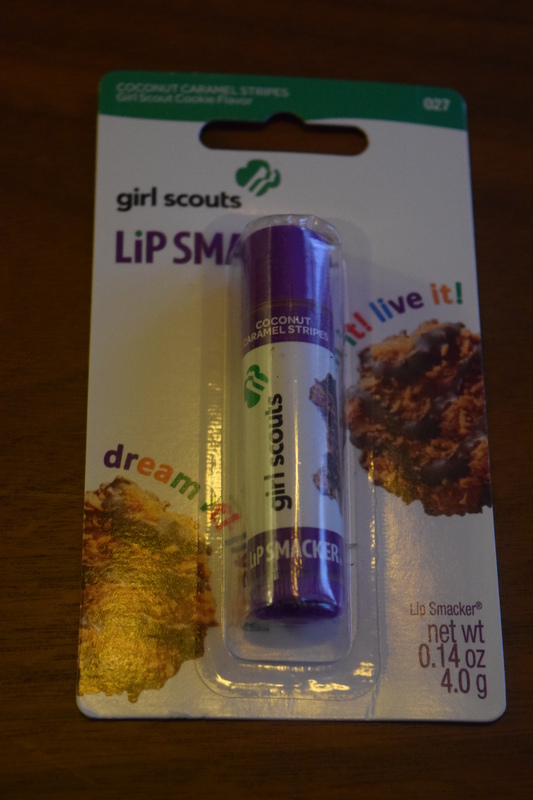 In the interest of my sanity and ever growing lip product collection, I’ll be giving this one to my niece (who happens to actually be a Girl Scout). I had trouble finding this exact version (it seems to mostly be included in sets) so I found a different flavor and based the retail on that. This is a freebie so it’s less disappointing that it feels a bit juvenile and dollar-store-esque. If the coloring of it were a bit less drab it might be a bit more appealing. I’ll be giving this to that same Girl Scout niece to either use for decoration or reuse the canvas for her art projects. So to start, I thought the “sweet” theme of the box was seasonally appropriate and I thought each item fit in very well. I received this box for free, but it retails for $19.99. 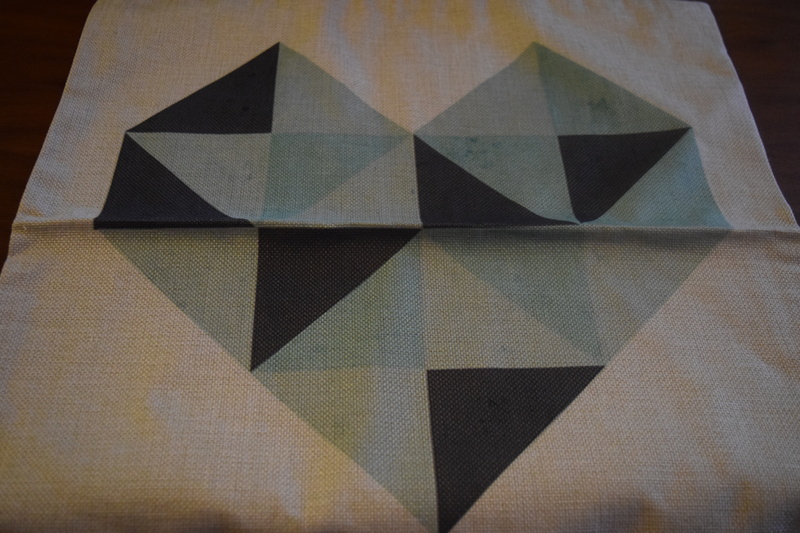 Now the canvas was a freebie and I couldn’t find a cost for the pillow cover. Excluding those items, my total already comes out to $20.65. I’d say the pillow cover was worth at least $10, so the value of the box has well exceeded what we paid, so it’s thumbs up on that area. Now to the actual items – I thought there was a lot creativity in the curation, but I think there’s room for improvement in the execution. I loved the sugar scrubs from the Etsy company and I’d love to see the box have more items like them. We can grab items from Target ourselves, but we might not be familiar with all the great products from smaller companies. I appreciated the focus on home décor items, but I’d like to see a more practical spin on them. If I were in charge I would have swapped out the shakers and the pillow for a set of cloth napkins with a similar design. Ideally, I’d like the candle and lip product to come from Etsy sellers instead. Even with some of the minor problems, I thought this was a solid box and one of the few companies that really works hard at sticking to a theme. For March, the theme is #livelifeincolor. That’s a very broad area so it should be exciting to see what we get. Makeup? Art? 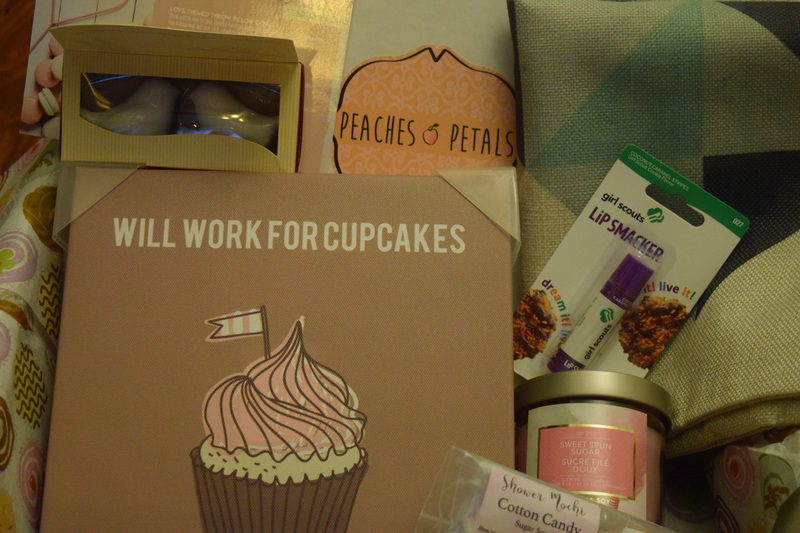 COUPON CODE: New Subscribers can use PEACHTHERAPY for 50% off your first month’s box when you order a monthly subscription (this excludes gift subscriptions). Cost: Each month costs $19.99 and there are options for gift subscriptions and prepaying 3, 6 or 12 month subs. Previous article	← Heaven’s Honey: New Organic Sub Box Launch & Contest! i’m not usually a fan of lifestyle boxes (gimme all the makeup! ), but I do like the idea of this one. I think your assessment was spot on. Hopefully, they’ll hone their concept and each box will get even better. It seems like they keep improving with each box and I can’t wait to see what they come up with next.